If you had planned a full scale office relocation, but the nearing move date is making you lose sleep and you worry whether or not the job will be completed timely and within budget, then perhaps it is time to put an end to worrying and let us deal with the situation effectively. 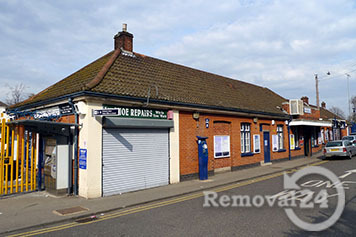 Our name is Office Removals Bexleyheath, and our aim is to make your office moving woes a thing of the past. We specialise in all types of office and certain commercial removal services, and guarantee professional and punctual execution and completion of the project. We consider ourselves to be a highly efficient service provider, which provides for comprehensive end to end servicing. Being such, we will expertly deal with all aspects of the relocation and provide you with the required technical support and professional advice throughout all stages of your office removal, from packing and labelling of office contents, to unpacking and distributing items at your new address. Packing is one of the most essential issues concerning office removals. Proper packing will keep expensive office equipment and furniture safe from damage and exposure during transportation, so we will take every bit of care when packing and securing your office contents. Good packing will also make the relocation swifter and more manageable, as things won’t be spilling on the floor or getting mixed together with other items. If necessary we can also supply you with high quality packing materials, so you have one less thing to worry about. Our teams of specially trained, professional movers will be extra careful and cautious when handling and shifting expensive electronics or other office machinery of high value. The success of the office removals in Bexleyheath DA7, DA6 that we are signed up to carry out is guaranteed not only by the skills of our specialists, but also by the impeccable fleet of modern, clean, GPS navigated transit vehicles that we have access to. All our vans and Luton trucks are fitted with proper moving blankets, safety gear and GPS navigation in order to further guarantee the safety of the goods being transported and the peace of mind of the people who have hired us. Office Removals Bexley Heath will take special care and consideration when moving filing cabinets as mixing or misplacing the contents of these might prove disastrous, not to worry though, as our expert movers will label, list or colour code each filing cabinet and note its intended destination, just to be sure. We offer a number of additional services including single item office relocations, specialised storage service, and clearance of redundant or damaged IT equipment. Bexleyheath DA7 is part of the London Borough of Bexley and it is identified as one of the 35 major centres of London according to the London Plan. The area, according to the latest census, has 21 511 residents and is held in a particularly high regard because of its well preserved town centre. Notable schools here include y Bexleyheath Academy, St Catherine’s Catholic School for Girls and the Towney Grammar School.